MED e-care’s eAssessment module comes with a wide range of focused assessments addressing care and activation needs with an easy-to-use interface. It includes standardized assessments such as CCRS, CHA, IAR, OMHRS, and NRS for many major sectors, from Long-Term Care to Rehabilitation, Mental Health to Retirement. Add your own assessments to the library by using the Forms Builder. MED e-care offers a comprehensive and easy-to-use instrument to electronically complete and submit the interRAI Community Health Assessment (CHA). 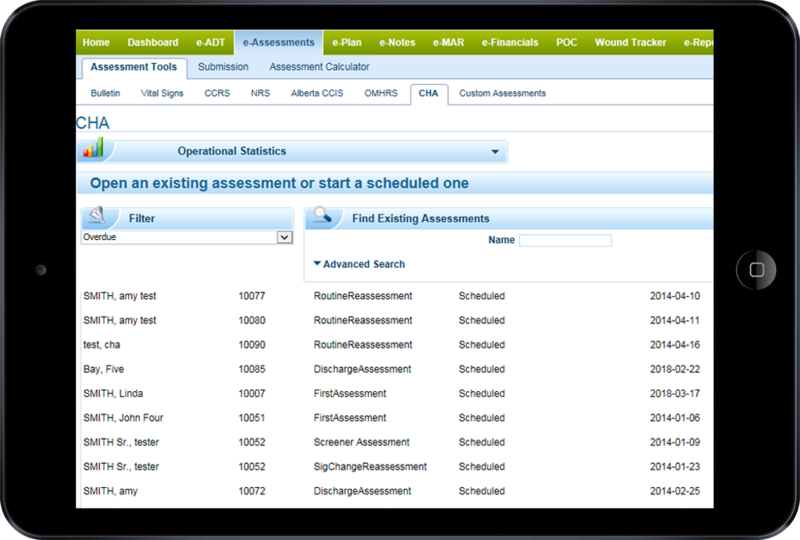 MED e-care provides an industry-leading and proven solution to track and complete the CHA. 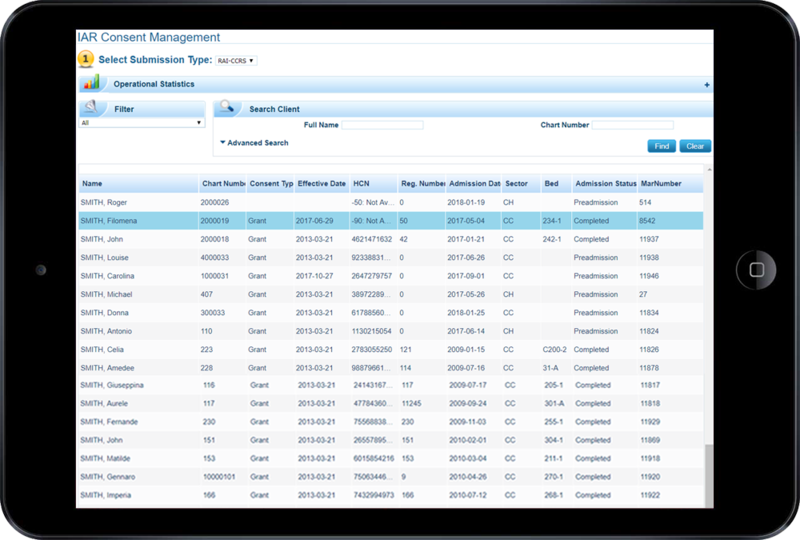 Combined with powerful, integrated business intelligence, user-friendly interfaces and integration to the industry’s client-management solutions. 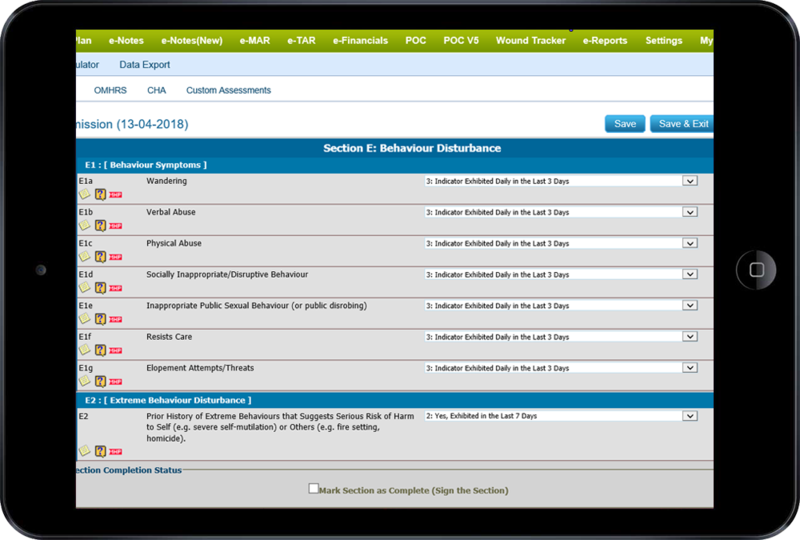 MED e-care’s eAssessment module comes with a wide range of focused assessments addressing care and activation needs with an easy-to-use interface. Add your own assessments to the library by using the Forms Builder. 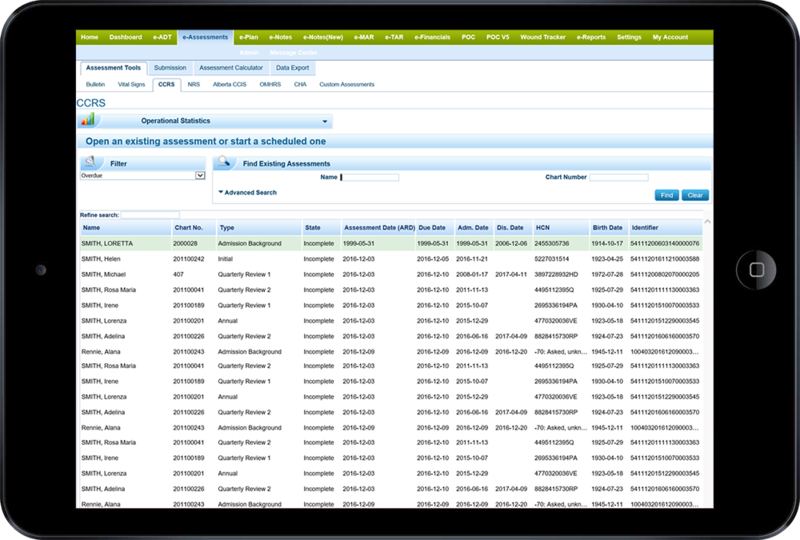 The Integrated Assessment Record (IAR) is an application that allows authorized staff to view a consenting resident’s assessment information to effectively plan and deliver services to that resident. The IAR allows assessment information to move with a resident from one health service provider (HSP) to another. 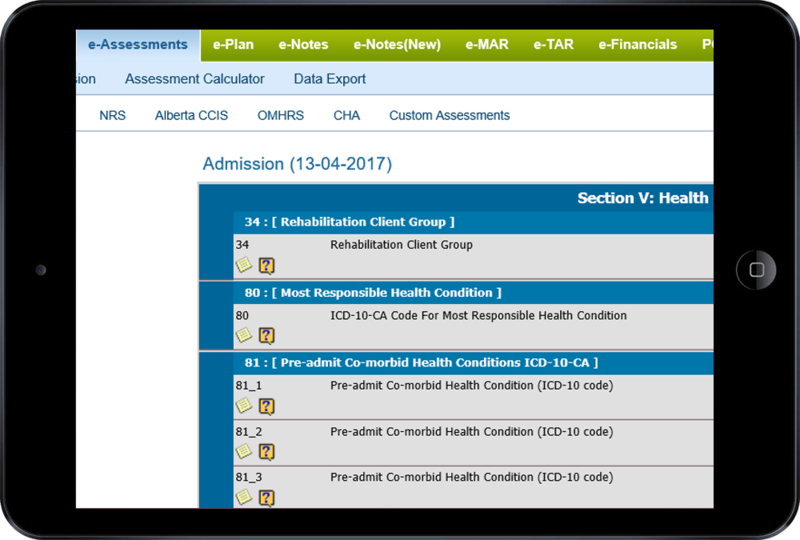 RAI-MH is MED e-care’s newly enhanced software module that allows hospitals to submit mandated data to CIHI (Canadian Institute for Health Information). Our company has a team of psychiatric nurses who have helped build the interface and the nursing reports. 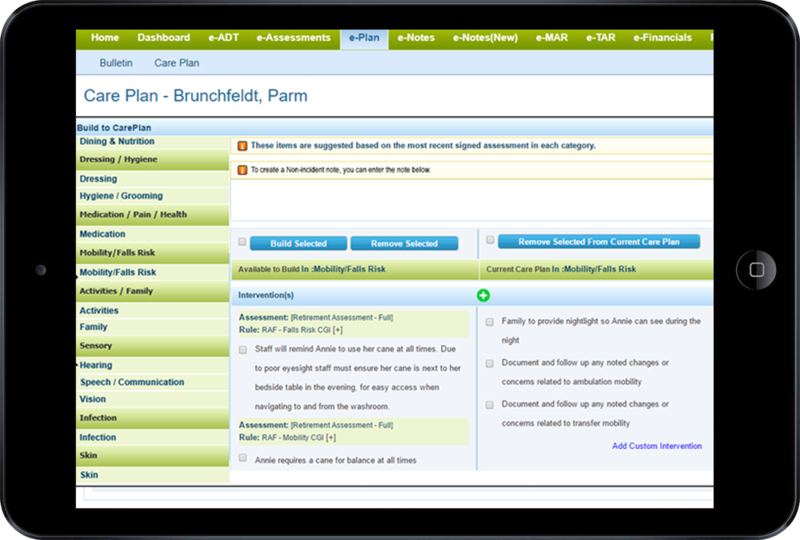 The Relationship Builder is a MED e-care tool triggered by assessments that pushes information into the Care Plan automatically. Customizable and easy to use.